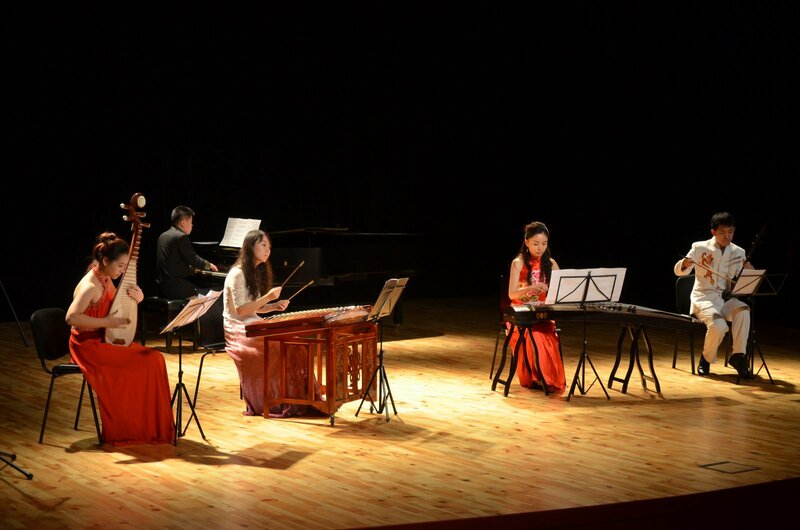 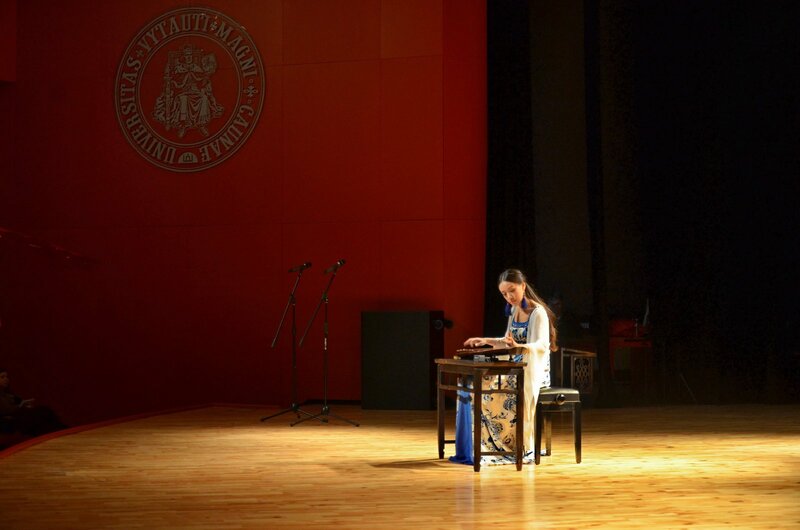 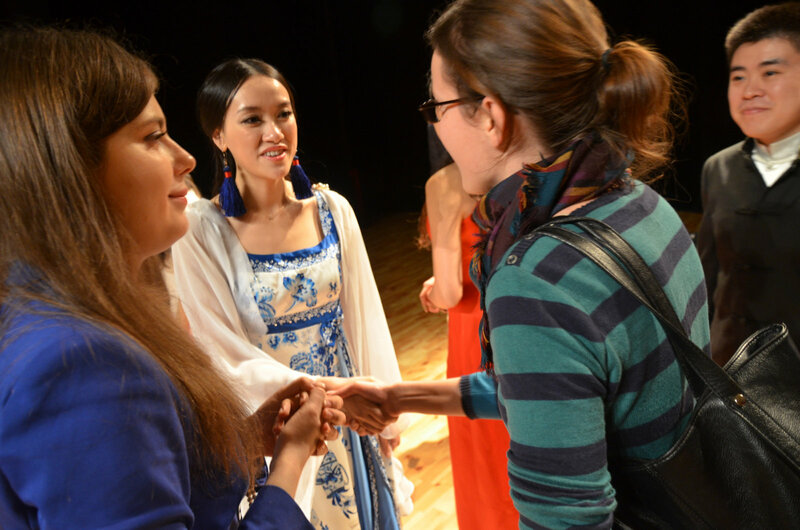 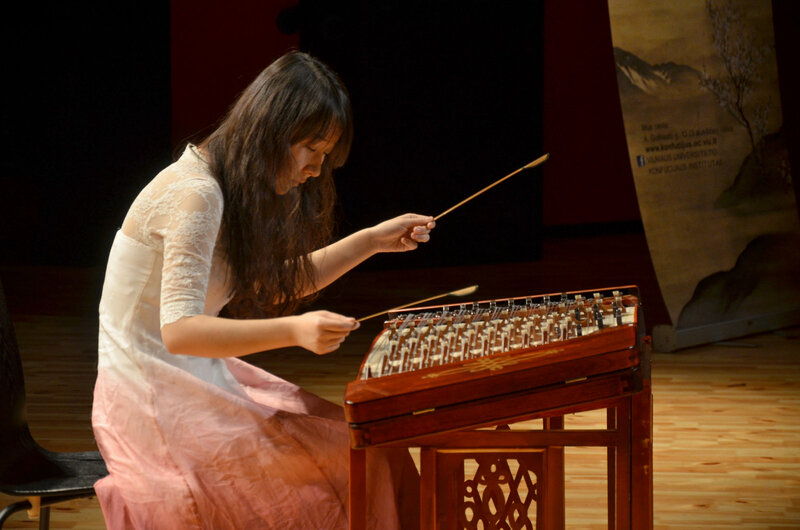 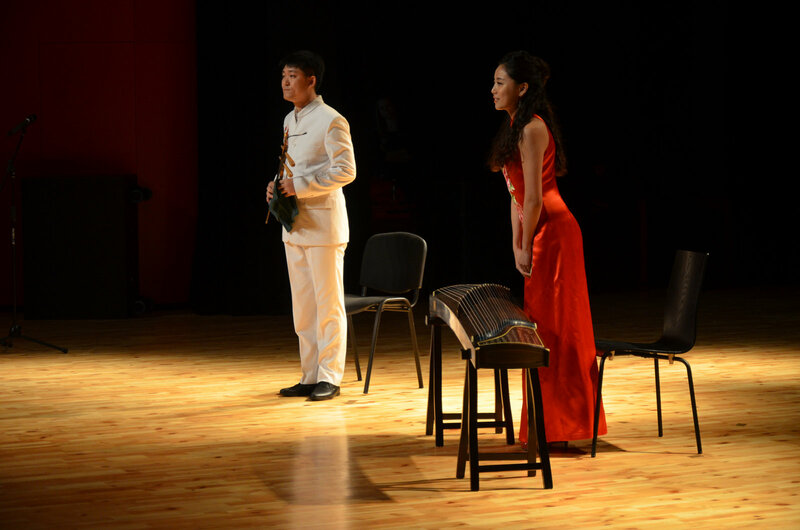 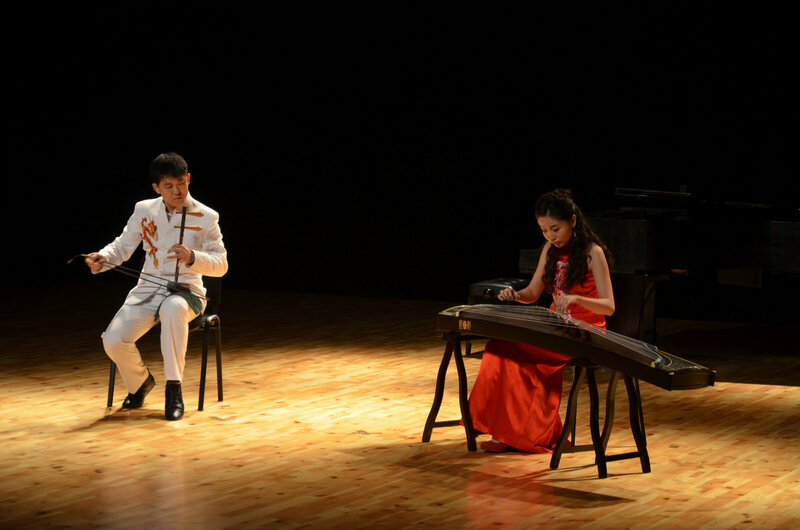 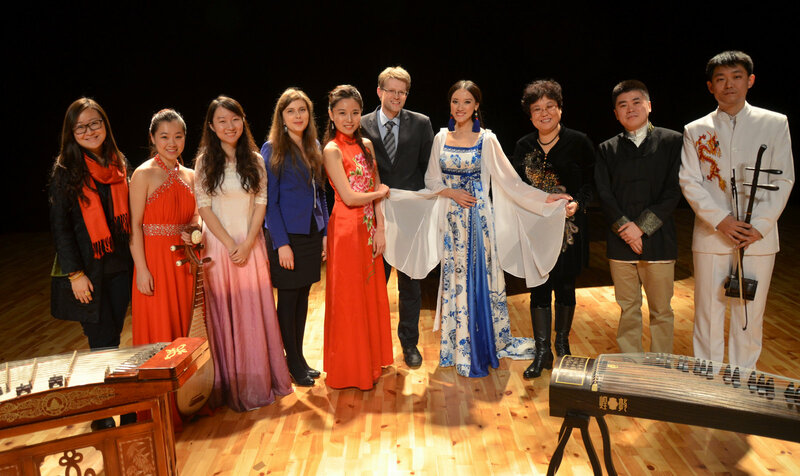 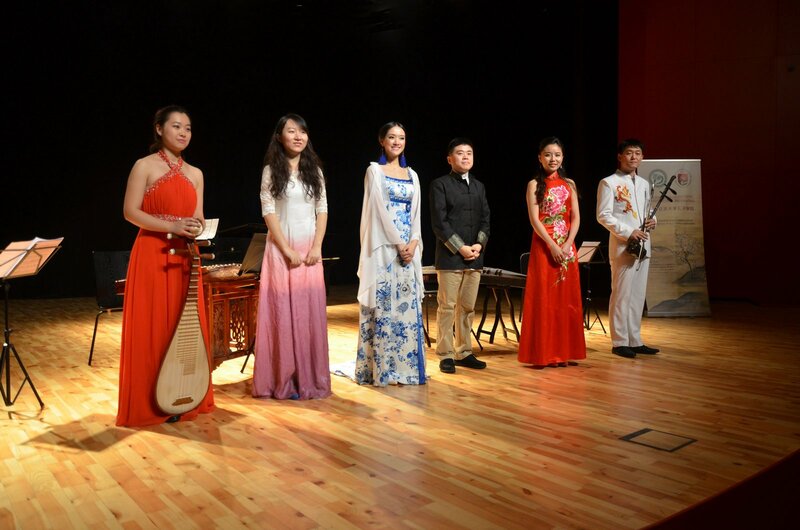 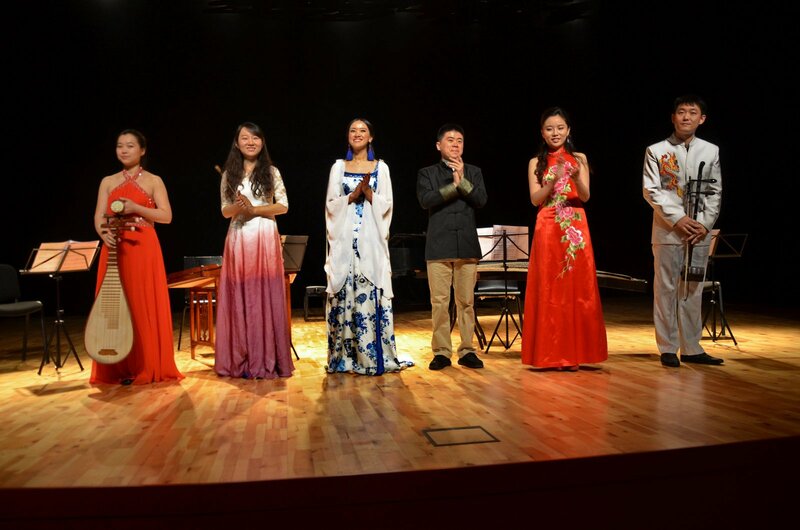 A Chinese troupe of traditional music performers came to Lithuania to chase away the autumn melancholy: five musicians from the other corner of the world demonstrated their talent for playing traditional Chinese instruments. 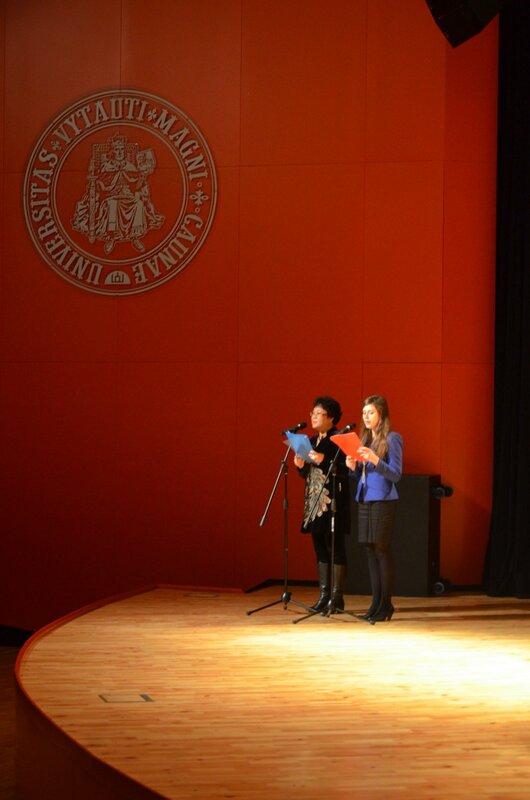 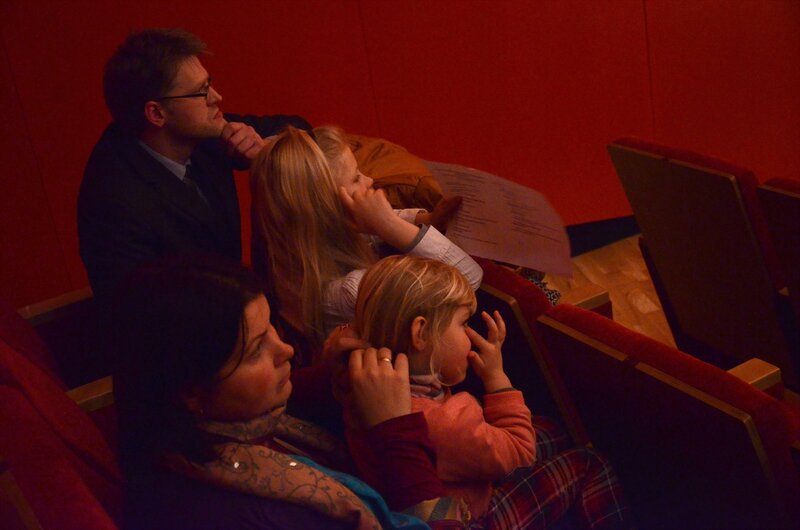 On Wednesday 20 November, they held a free-of-charge concert at VMU Great Hall in Kaunas. 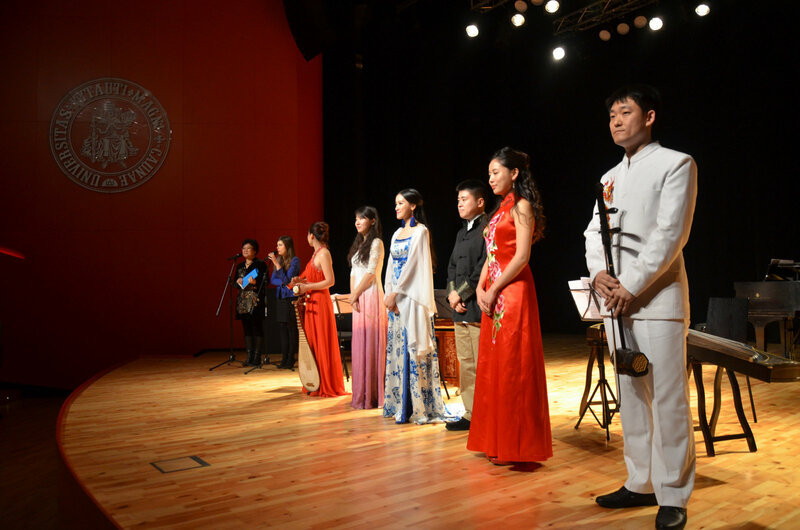 “By playing traditional instruments, the troupe’s members create great atmosphere and allow the audience to enjoy the spellbinding sounds of Chinese music. 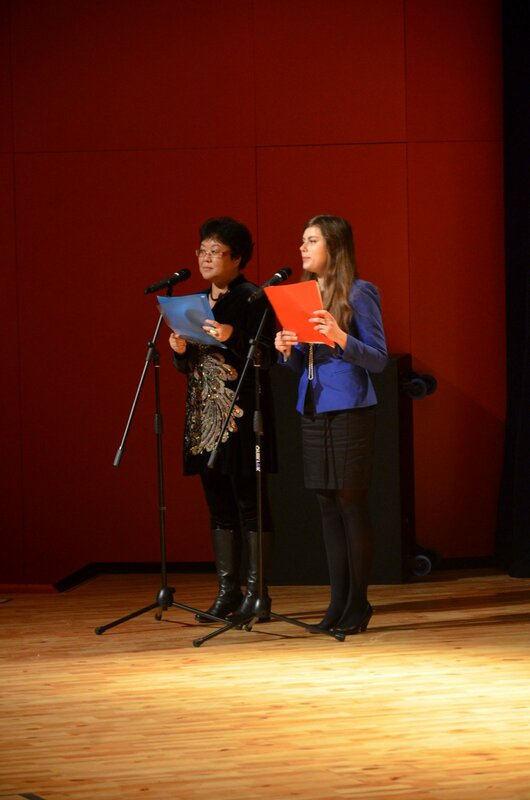 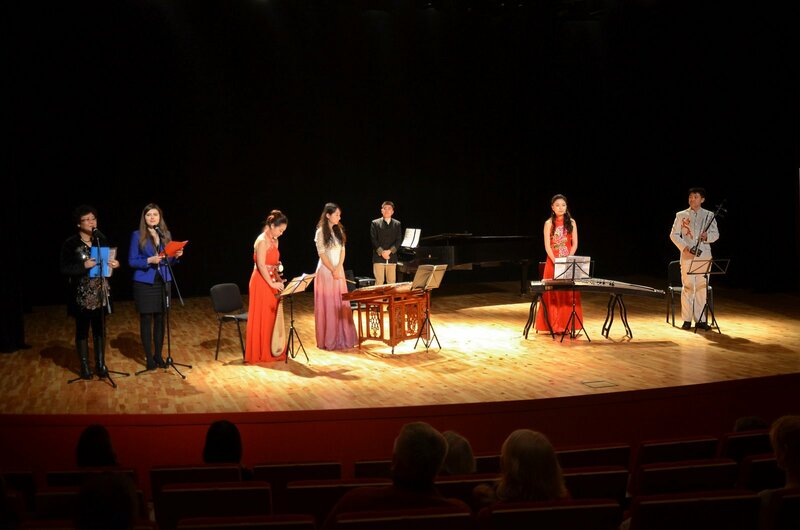 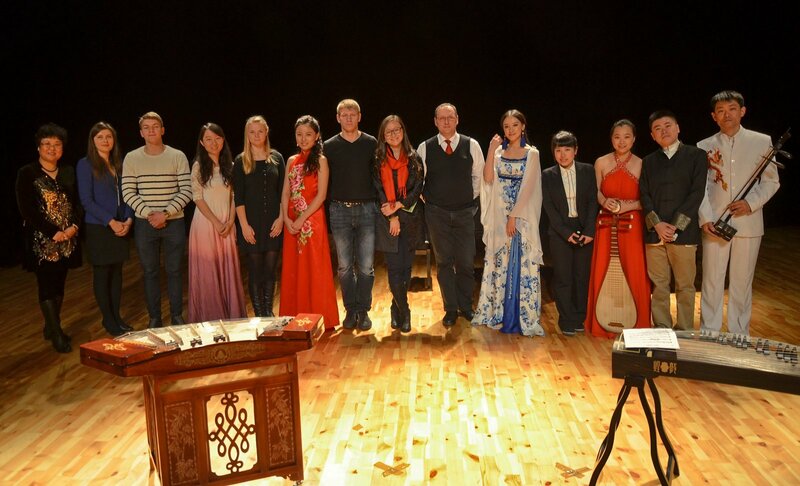 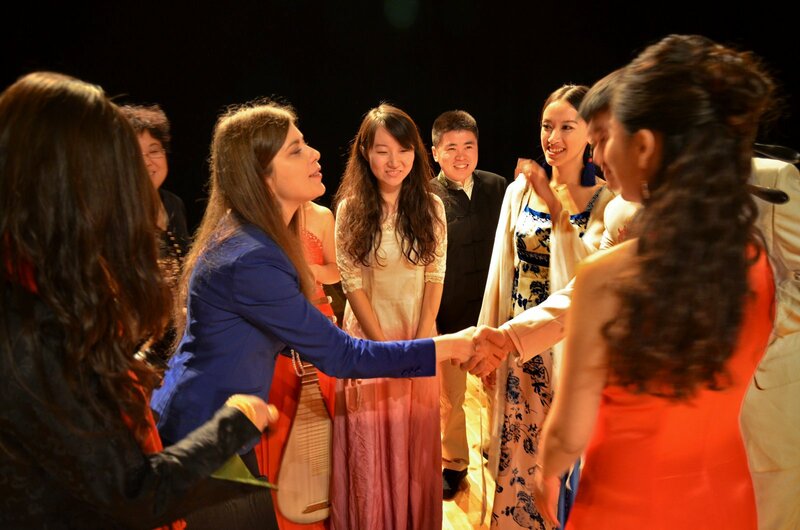 The guests are lecturers at music academies, virtuoso performers of their instruments and winners of multiple awards”, Dr. Aurelijus Zykas, the head of VMU Centre for Asian Studies, introduced the troupe. 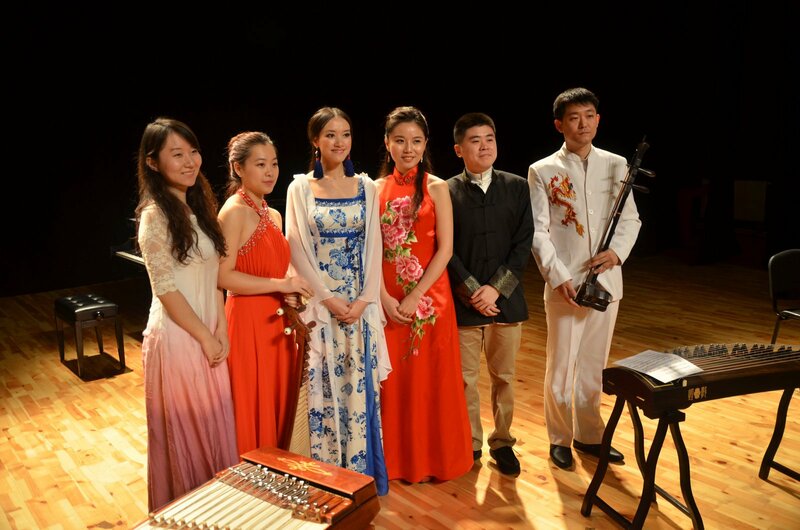 The visitors from the faraway land of China are Liu Xiaojing, Zhao Xiaoxia, Song Bing, Zhang Guoliang and Liu Zi Qi. 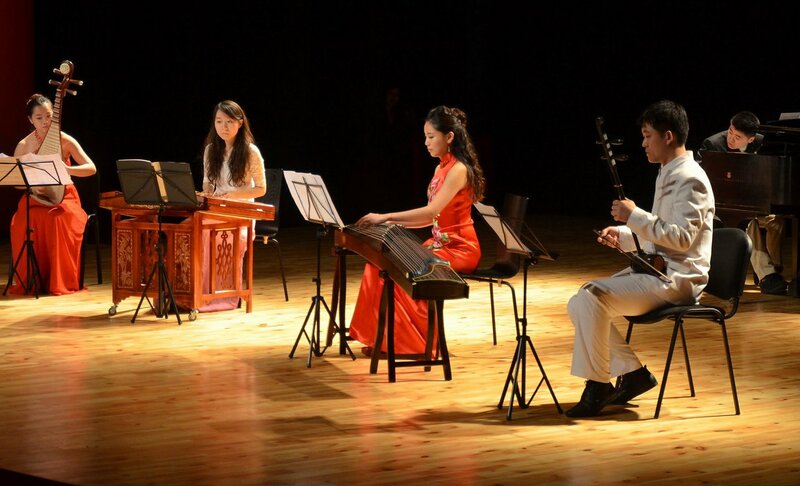 They play pipa, guqin, cymbals and Chinese violin known as the erhu. 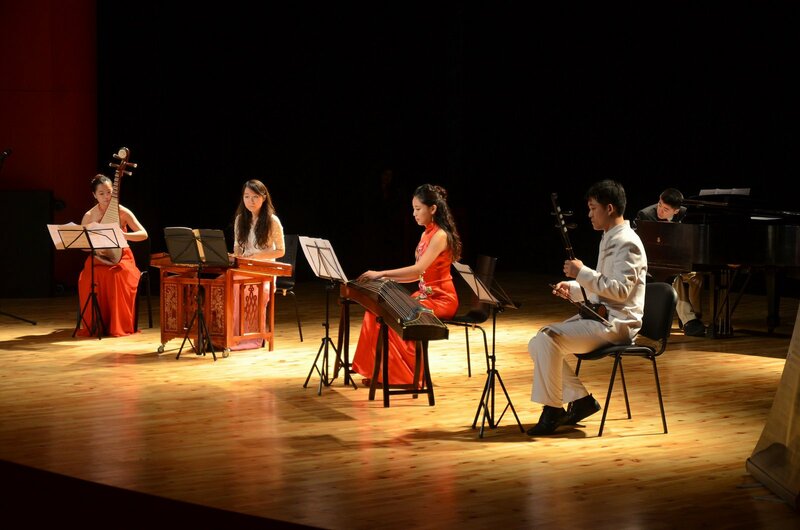 While all of these are string instruments, their playing techniques differ. 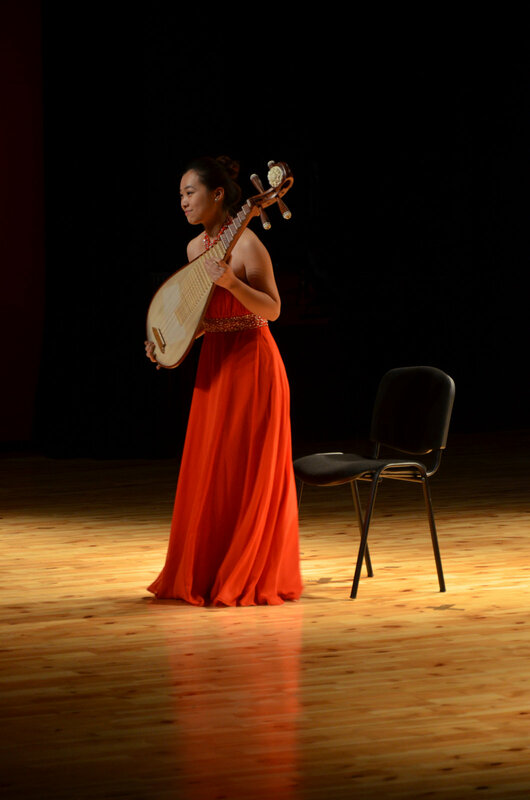 For instance, pipa, a four-string analog of the lute, makes sound when one plucks its strings. 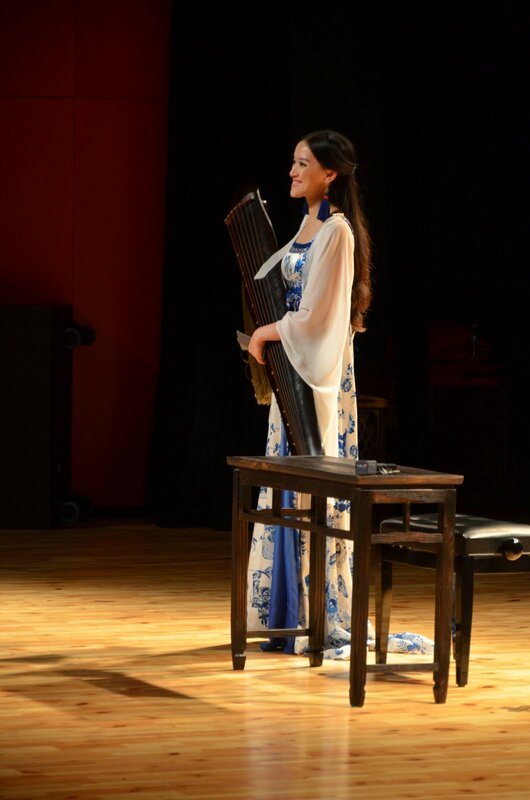 Meanwhile, the guqin, a Chinese zither, is one of the oldest and most respected instruments, even associated with Confucius. 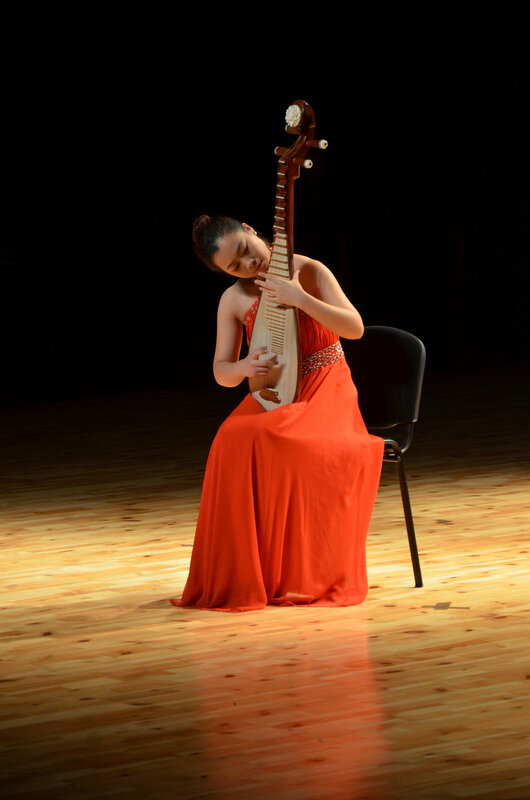 It is played the same way as pipa, but it has seven strings, usually makes low-pitched sounds and looks completely different: narrow and long. 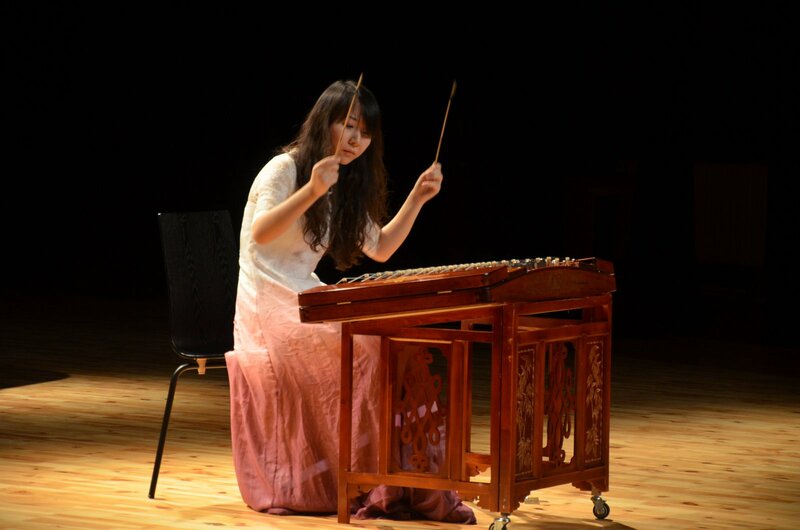 The sounds of the cymbals are created by touching the strings with special sticks, while the instrument itself looks like a trapeze-shaped box. 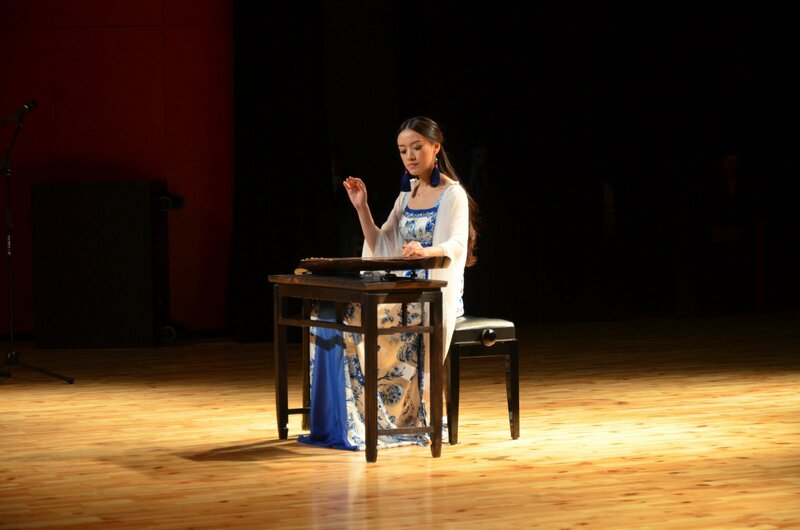 Erhu is a two-stringed Chinese violin, one of the most popular traditional instruments which is also used even in modern pop music (for example, in musical arrangements of songs by Coldplay). 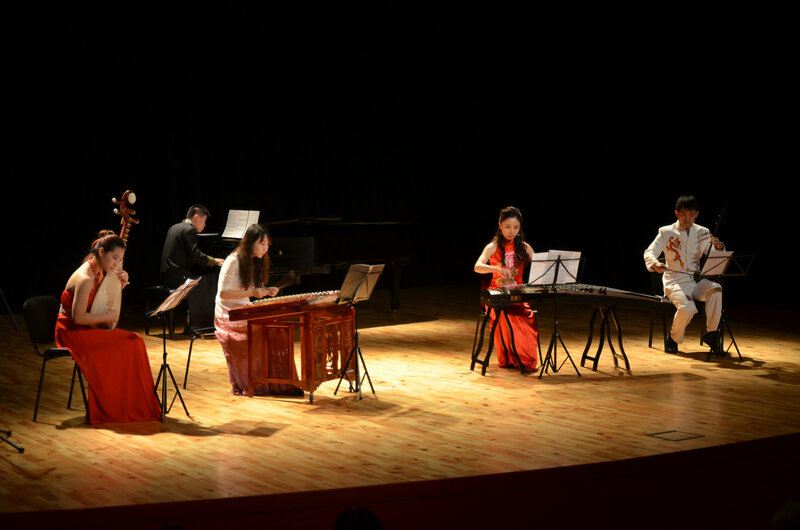 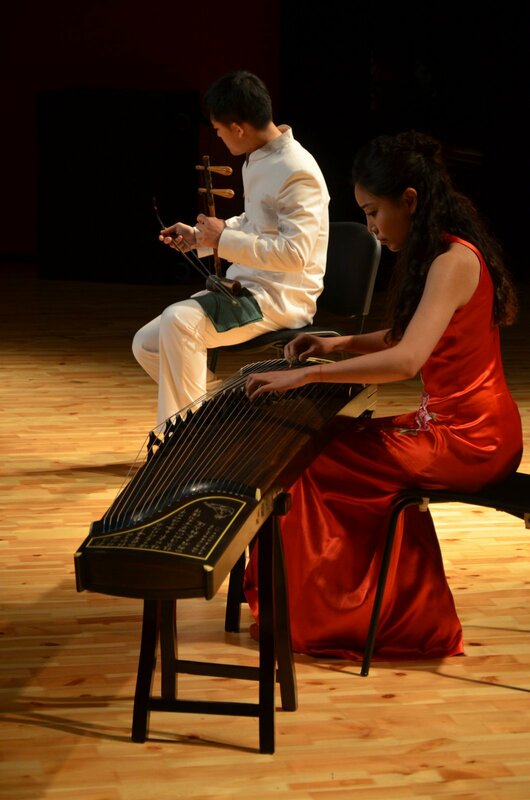 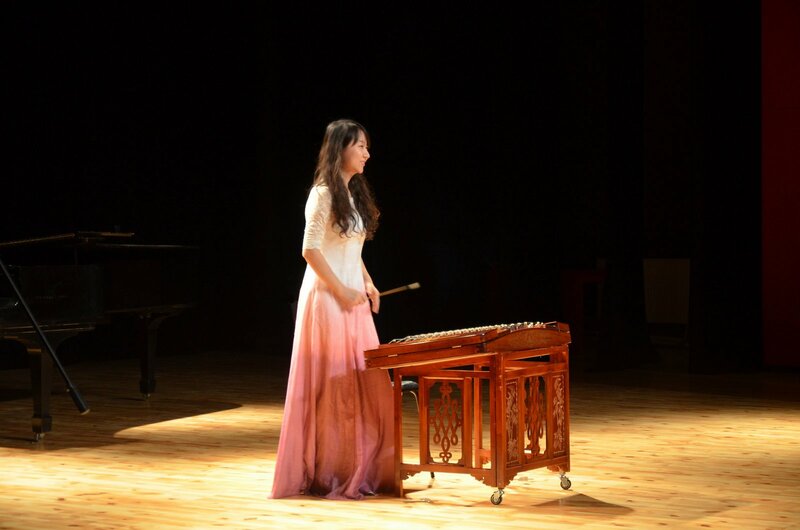 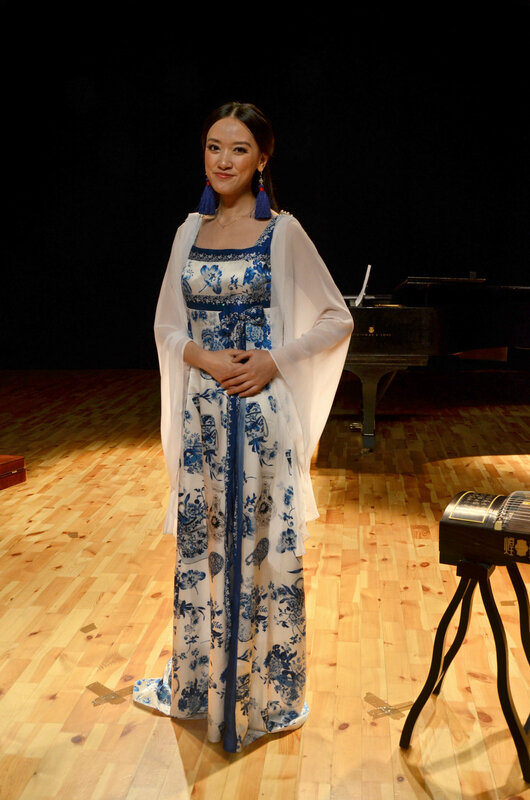 At the hands of professionals, all of these instruments reveal the beauty of their sounds perfectly: the troupe’s concerts are a great opportunity to listen to authentic, exotic Chinese music that has deep-rooted traditions. 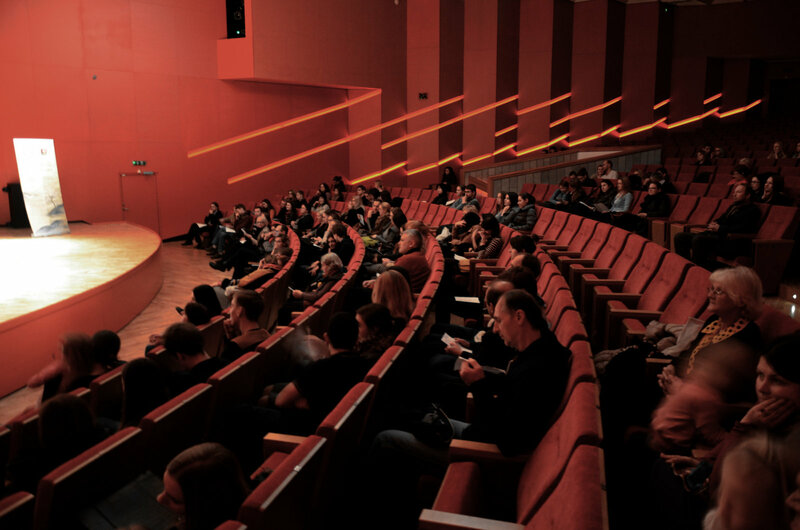 You are welcome to view the photo report by Alvydas Vaitkevičius (a.vaitkevicius@vkt.vdu.lt).